Susie is managing director for Antares Capital responsible for reporting. Previously, Susie was the business credit executive for GE’s Telecom, Media & Technology Group, Bank Loan Group and Equity businesses. She worked at GE for 15 years in a variety of roles focused on underwriting and portfolio management. 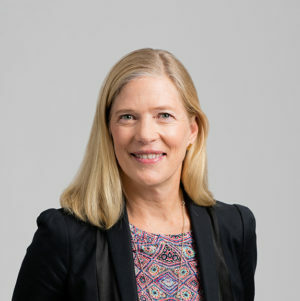 Prior to GE, Susie held roles at Bank of America and Chase. Susie graduated with honors from St. Lawrence University.